Few things are more exciting and, frankly, unnerving than your first day of high school. Except, maybe, coming out to your friends when they already kinda knew you were gay. Or finding out that the breathtakingly handsome guy you’ve just met is best buddies with your archnemesis who happens to be a homophobic bully. Or being teamed up for a school assignment with that decidedly unattractive, facially-deformed, freaky-looking weirdo who hasn’t got a friend in the world. Or all of the above. Matthew Dunstan, closeted freshman, future bestselling author, and frequently blushing teenager is on a quest to find himself, find love, and live happily ever after. Sounds easy enough, right? But when the opportunities for failure are endless, it doesn’t take much to turn your life upside down. And that’s not exactly what you need when you try to catch someone’s eye without attracting everyone’s attention. 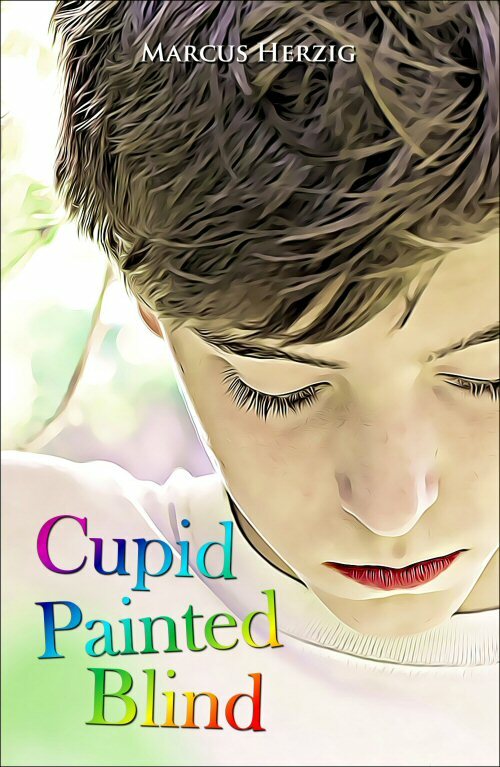 Cupid Painted Blind is a heartbreaking, heartwarming, and occasionally hilarious roller coaster ride through an awkward freshman’s first few weeks of high school that will appeal to readers of all ages who enjoy Young Adult LGBTQ fiction.